I’m going to be trying something new this weekend & selling my work at an art show hosted by a trendy children’s shop in Surrey, BC. This should be quite a different crowd than the craft shows I’ve done in the past & it’ll be interesting to see how my work is received. I don’t paint specifically for children in mind, though I am definitely influenced by the great storybooks I grew up reading. I’m in a weird sort of gray (pink?) area between cute, but not quite the super child-friendly cute that kids are used to seeing. Should be a fun experiment anyway! 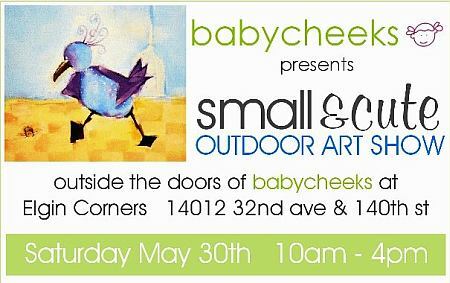 An eclectic mix of modern kids artworks will be featured during this fun day. Meet and mingle with select local artisans – this is an opportunity for you to purchase hand-made high quality unique items for your little loved ones playrooms, bedrooms or jewelry boxes. Next postMy Group Show is Up!